Our Fully Qualified Gas Safe Engineers Are Among The Best In Battersea. Are You A Landlord In SW11 Requiring A Gas Safety Check & Boiler Servicing? Do you need expert gas safe engineers in Battersea (SW11)? Trustworth Plumbing believes in always putting safety first. 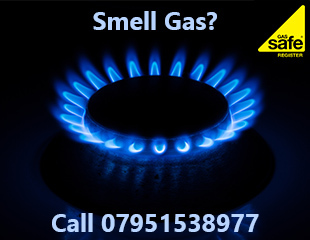 Call our team on 020 8670 4443 to discuss your gas needs. Customer care is very important to us. Our team always aims to carry out jobs to the highest standard. We guarantee every element of gas safety is professionally managed with complete care. We have a great team of local engineers. 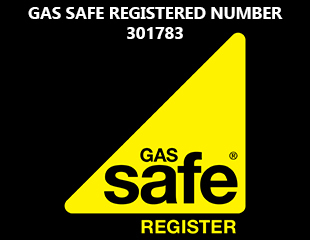 Trustworth Plumbing is legally registered with the Gas Safety Register. All of our customers have total confidence in our ability. We're experienced experts who put 110% concentration into every job. We are a proven trusted company with many reviews on the web. Our trusted engineers always show you their registration card immediately upon arrival. Our registered number is 301783. We encourage you to check this on the official Gas Safety Website. Our gas safe engineers in Battersea always aim to do error free work. They are professional at all times and work with precision. Our job is to thoroughly carry out every possible safety check with precision. We do not rush or cut corners. Our engineers never take risks when working with gas. Mistakes can prove fatal, lives can be lost. Trustworth Plumbing has gained lots of experience over the years. It has transferred into valuable knowledge which is priceless. Our Battersea gas safe engineers are fully capable of doing all types of installations, servicing and repairs. Their equipment and tools are always in the best condition. They can handle any technically difficult task. Our hard-working engineers cover the Wandsworth borough. Our emergency calls out option enables you to contact Trustworh Plumbing 24-hours a day. We live in a society where there is always the emphasis on how to save money on goods or services. Do not take think about saving money when gas work is involved. Don't choose to hire someone who isn't fully qualified, to save yourself some cash. You can not make mistakes when it comes to gas. The consequences are sometimes fatal. We are a company obsesses with safety. We have to be. Some of the most experienced gas engineers Battersea has part of our team. They have proven themselves to be very reliable. These gifted engineers only do work that lasts. So you save money in the long term. Keeping up with the latest new technologies, legal regulations and industry requirements are essential to our company. We value professionalism and customer care. Our team are experts at identifying faults/problems with existing gas appliances. The vast majority possibly comes from earlier installations done by other companies. If there is a gas emergency in SW11 you need a the best gas engineer Battersea has. Call 07951538977 right now and we can help. Who remembers when the massive gas tower in Battersea was replaced. This was part of the regeneraration of Nine Elms. If you live in SW11 (Battersea) and detect a gas leak at your home/property - call us right now. Do not take any unnecessary chances. Call our expert emergency response team on 07951538977. The following information is and helpful and important advice. If you can, immediately all windows and doors. If possible, quickly turn off the appliance that you think the leak is coming from. Don't turn that appliance back on for any reason. If you can, turn off your gas supply at the mains, as safely as possible. Our emergency gas engineers in SW11 will arrive quickly after your call. Any gas supply which is on when they arrive will be safely switched off by them. For anybody showing symptoms that their health has being affected by a gas leak, we recommend that immediately seek medical attention. Our gas appliance installations team are among the best in Battersea. Always use a fully qualified gas safe engineer for boiler/cooker installations. Do you need a top of the range gas cooker expertly installed? 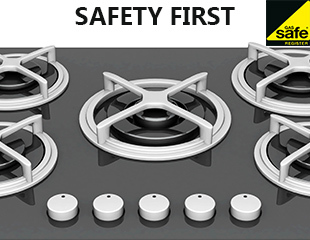 Do you need new gas hobs to be fitted to existing cookers? Do not let an unqualified person take on any of this work. Forget about saving money and focus on safety. It is both illegal and reckless to not use a professional. Our team carries out all the important checks to make sure your new appliance is in excellent condition, Trustworth Plumbing is among the leading specialist heating companies in South-West London. Our boiler installations include Potterton, Vaillant, Baxi and Ideal makes. Our repairs always receive good reviews on the Internet. Our gas engineers can help restore essential warmth to your home in the winter.